Some people were just made to do certain things. Perhaps it’s a raw, natural aptitude that makes them brilliant in a particular area, or a profession passed from generation to generation, gaining vigour with each new inherent. In such cases, it’s rarely just a passion. It’s a vocation they are compelled to do with every part of themselves – a sum of all their skills, knowledge and talent, plus that little something extra that makes them true pioneers. A combination of all of the above can explain the success of Angeliki Frangou – a force to be reckoned with in the highly competitive world of international shipping. Being Greek was arguably the very first foundation layer in the construction of Frangou’s extraordinary career; Greeks often talk about the sea as though it is a part of their soul. It’s no coincidence, therefore, that among them are the most notable shipping magnates of all time – Aristotle Onassis being the most obvious example. The fact Frangou is from Chios – an island where shipping is so deeply ingrained in the community that it’s the birthplace of numerous historical shipping families and a part of life for almost every inhabitant – builds upon this foundation further. Immersed in shipping from a very young age, Frangou developed a palpable interest in the field. This curiosity would soon steer her to the US, where she studied Mechanical Engineering at Fairleigh Dickinson University in New Jersey. With a bachelor’s degree in hand, Frangou would go on to attend the prestigious Columbia University, where she earned a master’s degree in the same subject in 1988. But Frangou didn’t want to just join the family business, or even work for another shipper. For the budding entrepreneur, it was very much ‘go big or go home’, which explains her next daring move: in 1990, Frangou travelled to Rio de Janeiro with a $1.5m (€1.3m) loan from her father and purchased the Fulvia, a defunct 14,000-tonne freighter. Within four months, the Fulvia was up and running, and its value had already doubled. The commercial success of the vessel’s first voyage to the US spurred Frangou to buy and restore more disused vessels from Brazil, and establish her own bulk shipping company, Franser. “Ultimately I used [the Fulvia] to build a company with a net asset value in excess of $100m [€84.8m],” she said. Frangou served as the CEO of Franser until 2001, when she merged it with her newly created company, Maritime Enterprises Management. Always poised to make the next leap ahead, the young entrepreneur raised $200m (€169.8m) in investor funds to launch a special purpose acquisition company in 2004. With this vehicle in place, she was able to buy International Shipping Enterprises, an iron ore transportation company dating back to 1954, from United States Steel. 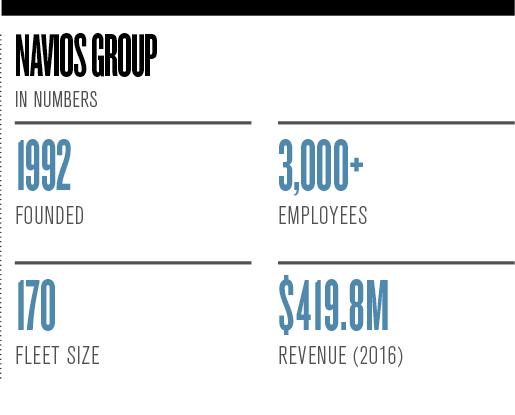 Frangou renamed the merged entity Navios, which went on to make history as the first dry-bulk shipping company listed on a stock exchange. 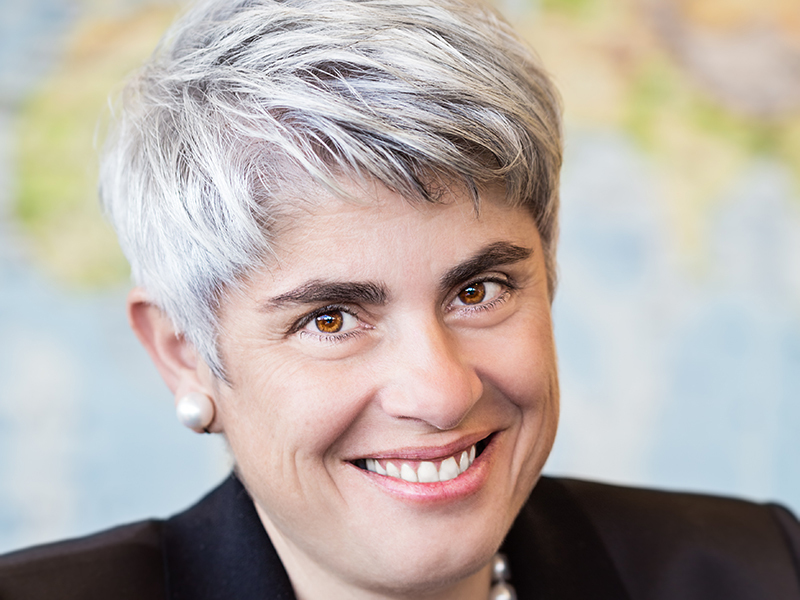 Frangou’s knowledge of Wall Street proved invaluable; with access to public capital, she was able to float more companies on the New York Stock Exchange: in 2007, she floated Navios Maritime Partners, an operator of dry-bulk vessels and containers that quickly enticed investors with its high-dividend yield. Navios Maritime Acquisition soon followed in 2008. After purchasing 63.8 percent of the Horamar Group for $112.2m (€95.2m) that same year, Frangou launched her fourth company: Navios South American. Frangou then merged the company with her existing port operation in Uruguay, making the Navios subsidiary one of the largest logistics firms in South America’s Hidrovia region. More recently, the company’s rapid expansion has continued with the inauguration of an iron ore storage and trans-shipment facility in Uruguay. Evidently, going from a defunct Brazilian tanker to running a group worth in excess of $4bn (€3.4bn) took more than luck. It required remarkable intelligence, a deep knowledge of the industry, a keen understanding of the stock market, and – perhaps most importantly – a vision. “I knew that access to public capital would be increasingly important, and that was my primary focus at the time,” Frangou said. “But this was an adventure – I wanted to pursue my dream with a group of good people and have fun along the way. Through Frangou’s relentless offensive of mergers and acquisitions, together with her ability to raise capital, the group has now become a frontrunner in the global shipping game. “Navios is currently five public companies – four companies on the New York Stock Exchange and one company traded on the Norwegian OTC,” Frangou said. What makes Frangou so brilliant at what she does is her ability to see the bigger picture, while also considering the smaller, more complex factors. In terms of current shipping operations, this entails taking into account weather conditions, technical issues and ongoing political movements, to name but a few. In terms of expansion, this involves a deep understanding of the global economy, as well as the intricacies of the stock market and ever-changing investment sentiment. 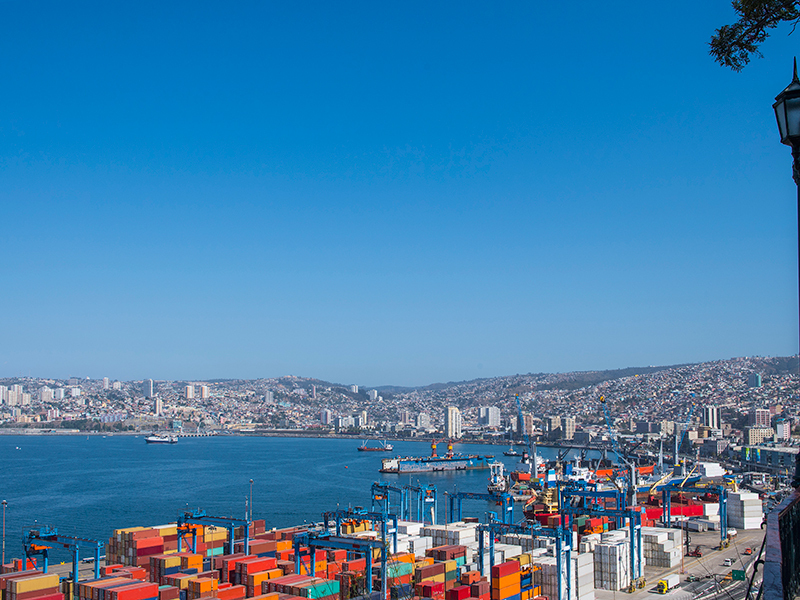 More recently, emerging markets have become key to Navios’ continued expansion. Frangou said: “Emerging markets growth has outpaced growth in the advanced economies in every year since China joined the WTO [World Trade Organisation] in 2001. These emerging economies have experienced rapid urbanisation and industrialisation as they grow. “As a result, they need more raw materials and energy to build the housing and infrastructure needed for their domestic markets. For example, 70 percent of all seaborne iron ore imports go to China and it is now the largest single importer of crude oil. 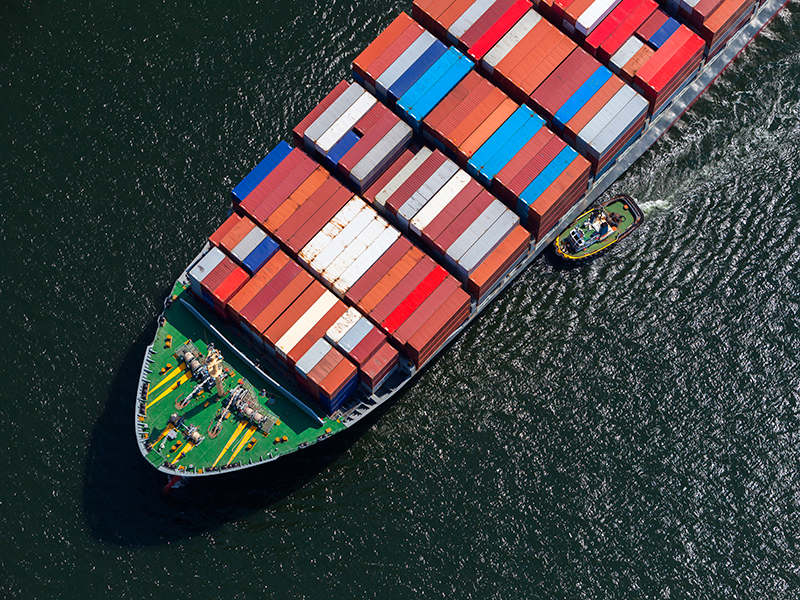 The BRIC economies and other emerging market nations account for about 50 percent of all container exports by volume. All of these raw materials and finished goods need to get to their respective markets. “The Navios Group controls ships in three main sectors: dry bulk, tankers and containers. We carry the iron ore, coal, grain, crude oil and petroleum products needed by the emerging economies to improve their way of life as they grow. As these economies export more, we carry the finished goods they make to the rest of the world, improving conditions in both exporting and importing countries. With this context in mind, it soon becomes clear that Frangou has no intention of slowing down – indeed, she has positioned Navios perfectly to capture the ongoing growth of emerging economies for years to come. Asking Frangou about her management style and what she considers to be the key to successful leadership, a sense of humility emerges. “I have never asked anyone to do something I am unwilling to do, nor have I asked them to work longer or harder than me,” Frangou said. “We are here together – in partnership. We may have different roles in the company, but we are both making it through the day.” Frangou also believes it’s vital to be contactable 24/7; that such a responsibility is part and parcel of being in charge of some 3,000 employees around the globe. This sense of duty links to the importance she places on talent and the ingenuity of those around her. Frangou said: “We work in a commodity company. There is no margin of safety because of the ubiquitous nature of the service we provide and the lack of differentiation between the service providers. Think of it this way: goods don’t care what vessel they are carried on. Nor do the owners of these goods. “Consequently, we need to be very good at what we do, and we have the best people focusing on running a lean, yet global, operation. The nature of commodities is that things can change quickly. The market adjusts almost instantaneously to new policies or business opportunities. It can be painful for companies that have not adequately maintained operating or financial discipline. “I learned that in an industry filled with assets [and] vessels, the most precious asset of all was human resource. After all, it is the judgement of people, whether to buy or sell or repair or scrap, that had the most fundamental impact on the company. The people I have hired are all experts in their respective fields, whether architects, engineers or lawyers. isn’t just good at running a maritime empire – she was born to do it.